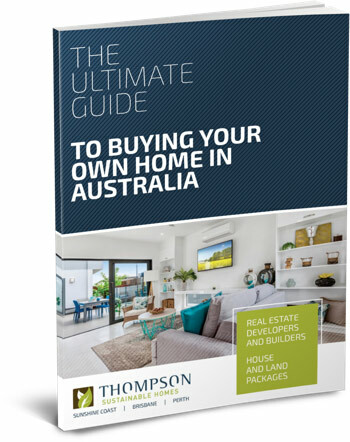 This document outlines the building process that we use so that you can get a sense of what to expect when you buy a Thompson home. Some of the latest articles we’ve published that clarify the building process. Confused by all the building terms? Read the building term glossary. Think about your current needs and what your requirements will be in the future. Factor in all of your costs; consider your short, medium and long term positions. Now that you have parameters set it is time to select your land and your home design. To secure your land and your home it is time to pay your holding deposit. With your finance in place Thompson Sustainable Homes will now prepare your house plans. Carefully review any changes you have made to the standard house design and sign them off. Thompson Sustainable Homes will now coordinate a soil test to determine the engineering requirements. Thompson Sustainable Homes will arrange for an Engineer to design the foundations of your home. Thompson Sustainable Homes will now guide you through the selection of your finishes for your home. The final working drawings for your home are now prepared for the purposes of seeking building approvals. Thompson Sustainable Homes arranges for your home to be assessed and approved by a Private Building Certifier. Your Bank now issues a letter to provide authority for Thompson Sustainable Homes to commence works on site. Thompson Sustainable Homes now prepares the site by clearing and scraping the block. At this stage the slab and drainage is now complete. At this stage the frame of the home is erected and complete. At this stage the fascias, roof, gutters, wall sheeting, windows, external doors and garage door are installed and complete. At this stage internal doors, cornices, cabinetry and wet area tiling is complete. approvals, termite treatment, final clean, quality inspection, and final inspection by Client is complete. rectified and inspected. Your home is now complete and ready to be lived in. Contact our team to make an appointment today!